The Peoples’ Democratic Party (PDP) has berated the All Progressives Congress (APC) and the Independent National Electoral Commission (INEC) for failing to address the rising cases of inconclusive elections in the country. 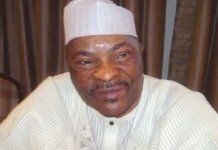 The opposition party on Saturday frowned on a statement credited to the INEC chairman, Prof. Mahmoud Yakubu, to the effect that the commission would not be able to guarantee conclusive polls in 2019. The INEC boss, while with journalists in Lagos, noted that the conclusiveness or otherwise of any election depended to a great extent on the behavioural pattern of voters; of which he has zero control. He blamed his predicament on the non-existence of a law to prosecute electoral offenders, saying the absence of such a provision or law has allowed for an abiding culture of electoral malpractices responsible for some of the many hitches the commission has been dealing with. But in its reaction, the PDP described the reoccurrence of inconclusive elections as a bad omen and something both the APC-led Federal Government and the INEC should be ashamed of. “APC and INEC should be ashamed of themselves for always disrupting the electoral process through inconclusive elections. Since the inception of the civilian rule in 1999, the electoral process has never witnessed the level of bastardisation we are witnessing today in the guise of inconclusive polls”. The Spokesman of the National Caretaker Committee, Prince Dayo Adeyeye told THISDAY on the telephone yesterday that rather than find a lasting solution to the anomaly, the APC has adopted it as strategy for rigging elections and ensuring that they subvert the will of the people. “It has become a strategy by the APC to use the excuse of inconclusive election to perpetrate rigging and this must be resisted henceforth. If there are challenges affecting the conduct of free and fair election the INEC chairman must find a way of resolving the problem rather than continue to resort to inconclusive elections. This is certainly not acceptable,” he said. 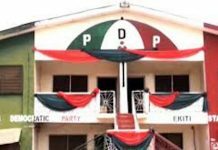 Meanwhile leadership of the PDP has accused the INEC in Edo State of recruiting APC loyalists as ad hoc staff members ahead of the forthcoming Edo State gubernatorial election. The party raised the alarm yesterday in a press statement by Adeyeye alleging that there is video evidence exposing INEC officials in Edo state of compromising the outcome of the gubernatorial election before the scheduled Saturday, September 10 date. 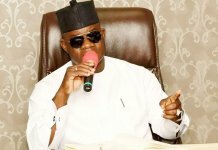 “We have once again uncovered another plot by the electoral umpire in Edo state to rig the gubernatorial election in favour of the government in power in the state. There are clear evidence available to us showing how INEC officials are recruiting APC members as ad hoc staff to rig the election for the APC candidate in the Saturday, September 10, governorship election in the State,” Adeyeye alleged. The PDP spokesman warned that the party would not tolerate any act of sabotage and advised the electoral umpire to recruit neutral and credible Nigerians without partisan interest as ad hoc staff to maintain their neutrality in the process. “We will not accept anything short of free, fair and credible process leading to the Saturday, September 10, gubernatorial poll in Edo State. We wish to assure INEC and the APC of our cooperation for a successful election but will not accept an election that is already compromised before the actual poll”, the party said. PDP warned INEC to avoid inconclusive election in Edo State and put everything together for a hitch free poll. On its part, the APC has said there is no reason to fault the action of INEC as far as the issue of inconclusive elections are concerned, because the commission is only acting in line with the provisions of the Electoral Act (2010) as amended. The national Chairman of the APC, Chief John Oyegun who spoke to THISDAY yesterday said the party believes that it is better to declare an election inconclusive where there are breaches and to conclude the process at a later date rather than announcing results of a faulty poll as was the case during the era of the PDP government. “For us in APC, we feel that INEC has not contravened any law by declaring elections inconclusive and to that extent it is better than what used happened in the era of the PDP where the commission will declare a winner from a faulty poll and ask the aggrieved to proceed to court. The present case is better and more acceptable,’ he said.